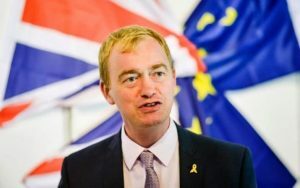 Liberal Democrat Leader, Tim Farron MP, wants voters to have the final say on the deal. Liberal Democrats respect the outcome of the referendum held in June 2016, but they believe that Britain is a more prosperous country when it is part of the world’s largest economy. The UK’s continued membership of the Single Market is vital to our economy. The British people voted for departure but not for a destination, which is why the Lib Dems are also calling for the government to give the British people a vote on the final deal that they negotiate with Europe.